I love magic but no more than I love the other two big M words—Movies and Music. Well this week I want to list five movies that utilized magic in a way that really impressed me, or that just really enjoyed. As in all my top five lists I am trying to avoid a couple of the obvious choices in favor of slightly less populist selections. In other words, I’m not including ‘The Prestige’ or ‘The Illusionist’ in this list, both movies that really didn’t connect with me as deeply as they seem to have done with so many others. This 1973 gem is my very favorite movie about magic, deception and illusion. It was directed and stars the great Orson Welles, who was a big fan, and sometimes practitioner, of the magical arts. 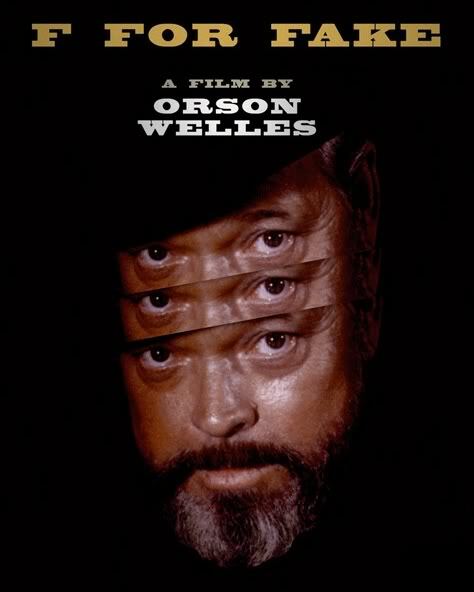 There are a small group of movie buffs (myself included) that feel that this is one of the really great and TOTALLY underrated movies by Mr. Welles. There is a great deal of subtlety in the content and structure of this movie that will appeal to any magician. As an exercise in the relationship of editing to magic and the implied magic of causal relationships in film making, this movie will definitely support several viewings before you even begin to grasp the tongue in cheek brilliance of its director and star. How do you begin to describe it? If you are smart you don’t, you just point out that it exists and hope a few people who haven’t seen the film get to discover it. I remember during a party in our Las Vegas home getting into a deep conversation about the movie with Johnny Thompson who was deeply desirous of obtaining a copy. I deserted my party guests and dubbed a bootleg copy of my bootleg copy for John. As a further hint, if you really enjoy the movie then you may want to order a copy of Robert Anton Wilson’s third book in his ‘Cosmic Trigger’ trilogy which is an amazing analysis of a truly amazing piece of movie making. 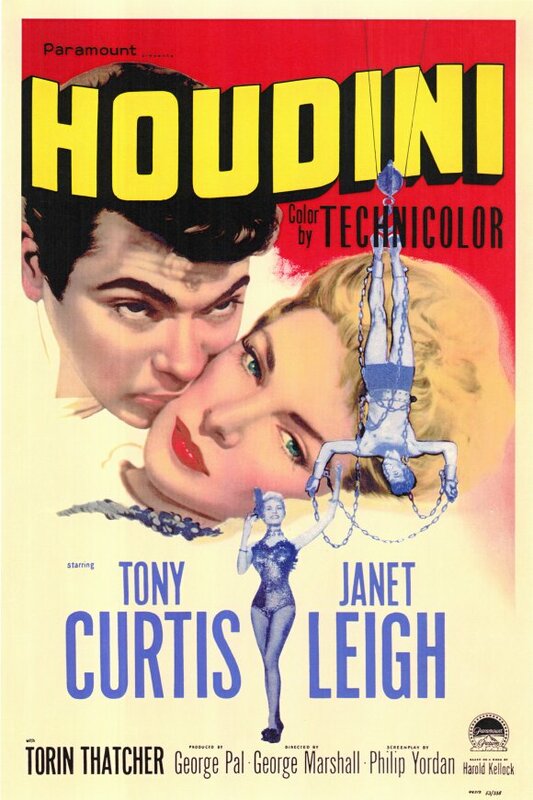 I have a very soft spot for this hokey old movie starring Tony Curtis as the seminal magician from so many of our childhoods. I saw it at just the right time and it totally stole my heart with its romanticism and Technicolor simplicity. Coupled with William Lindsay Gresham’s great biography Houdini took his place in my heart and made my future as a magician inevitable. You haven’t seen the movie? Oh my God, get going! Cook up popcorn and perhaps make it a double bill with ‘Dancing in the Rain,’ and have a good old-fashioned movie night. Here is an obscure one! 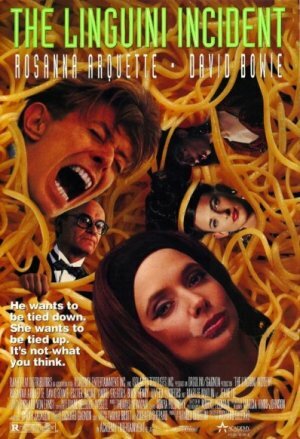 Directed by the late Richard Shepard (father of my long time friend and director Tony Shepard) the movie stars David Bowie and Rosanna Arquette. It is a light-hearted and romantic look at a Houdini obsessed character Monte, played by Bowie, and a robbery caper. Is it a great movie? Not really but it is a movie that I thoroughly enjoyed and you might well too. No, not the great James Bond reboot starring Daniel Craig. I am talking about the 1967 comedy romp starring both Peter Sellers and David Niven as secret agent 007. 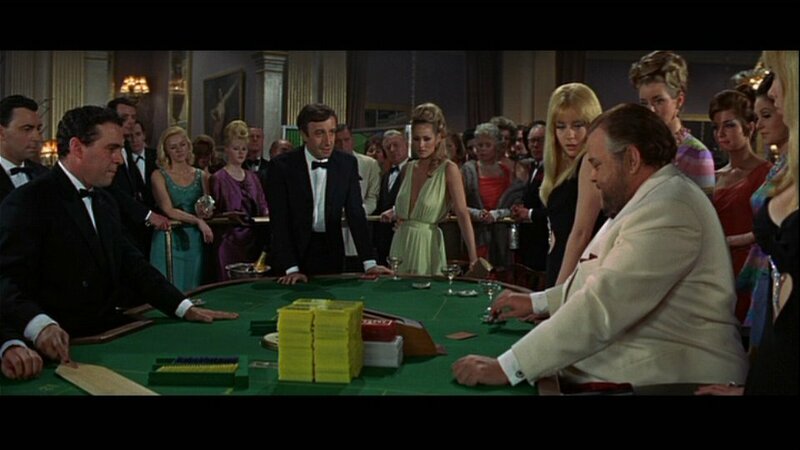 The movie also featured cameos by an extraordinary cast of stars, including Orson Welles as the arch villain Le Chiffre. It is once again Mr. Welles who brings in the magic element, when he performs a magnificently theatrical Asrah illusion during the climatic casino scene in the movie. It had some real gravitas. As a further reflection on the magic of editing it is worth pointing out that during this pivotal showdown between the characters played by Welles and Sellers the two actors refused to be in the studio at the same time! The movie was filmed at the height of Mr. Sellers ‘crazy time’ and he was something of a nightmare to work with, but this scene worked out pretty darn well in my opinion. The 15-year old version of me who saw this movie in the cinema when it was released just loved it and found it highly inspirational. I know how universally hated this movie was by magicians in America—I just don’t know why? My guess is that for many of us it really treated magicians in a very dismissive manner and with NO degree of awe or exaltation. I thought the film was consistently funny and nicely kept to a low key level. This is not a movie that went for big laughs, however I thought it kept the laughs going throughout at a nice pace. I particularly enjoyed Jim Carey’s turn as Steve Gray, a ‘street magician’ who resembled David Blaine to a very high degree. ~ by Nick Lewin on April 24, 2014.